Deputies made several drug arrests. Deputies seized drugs, money, and a gun. Over the weekend, Scott Co. deputies made several drug arrests. Deputies seized drugs, money, and a gun. 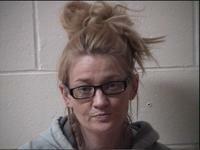 On February 10, 2019, deputies received tip information in regards to the whereabouts of Stephanie Gross, age 32, from Austin, was located and arrested on an active warrant. Gross was arrested for DEALING IN METHAMPHETAMINE, DEALING SCHEDULE I, II, III CONTROLLED SUBSTANCE, UNLAWFUL POSSESSION OF SYRINGE, and VISITING A COMMON NUISANCE. 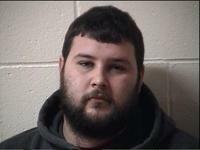 During her arrest, another male subject identified as, Jessie Higdon, age 23, from Scottsburg, was arrested for POSSESSION SCHEDULE I, II, III, OR IV CONTROLLED SUBSTANCE. Additionally, deputies arrested several other subjects for Operating While Intoxicated and Operator Never Licensed.